The luxurious Italian clothing brand Armani has selected our product OmarCril Brillo for their New York store. 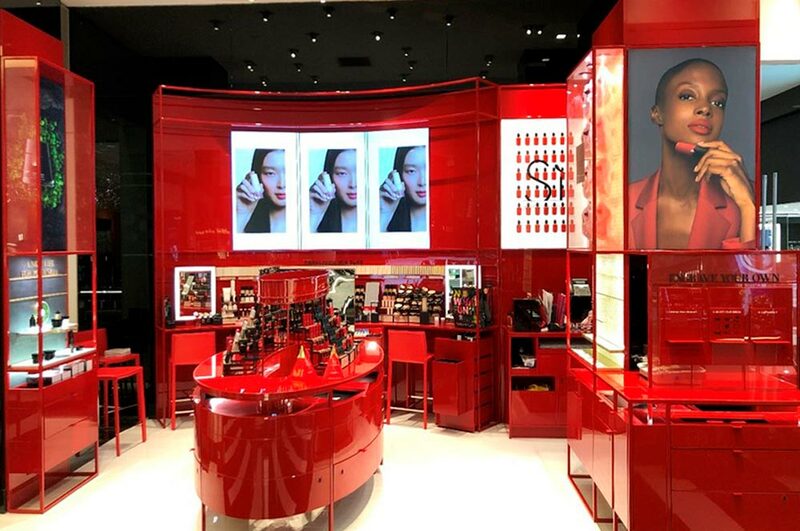 The brand chose the Armani red colour as the main shade to redecorate its cosmetic product store in The Big Apple. Just before the Christmas holidays, when the city of skyscrapers fills with light and colour, a large group of professionals worked tirelessly to complete the new design for the Armani store, just in time to show off the changes over the Christmas holidays. 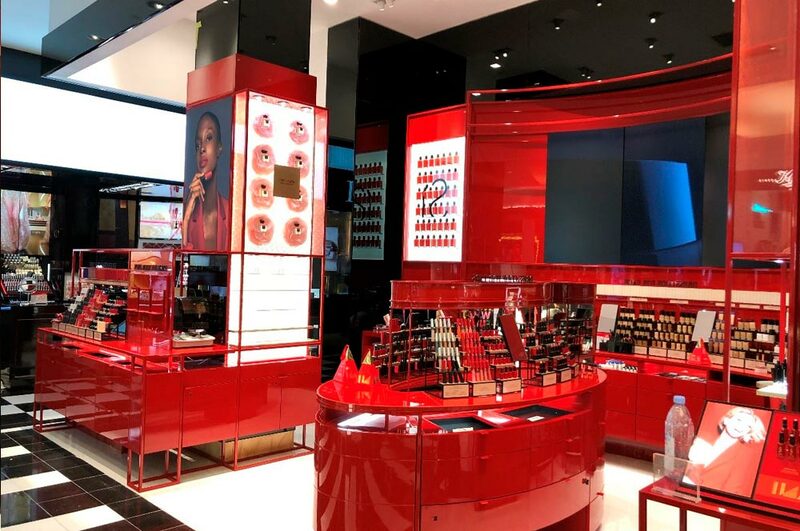 Our product OmarCril Brillo was used to enhance the presence and visual impact of the red shade of the display furniture. The luminosity and excellent light reflection generated inside the store further enhanced the ensemble created by the designers, thought it did not seem possible to do so. This creates a space to display the brand’s luxury products, harmoniously arranged to delight visitors seeking an exclusive gift from Armani. The use of pure and monochromatic lines has also created an extraordinary aesthetic, in combination with striking images and black backgrounds that give depth to the interior. At Omar Coatings, we are proud of the trust placed in our varnishes by companies of this calibre. In order to carry out projects that make a real difference, it’s essential to work with quality varnishes that ensure high-level finishes, as Armani chose to do. Continuous updating in the development of systems, products and production elements has positioned Industrias Omar in the reference point of the sector of paints, varnishes and resins.